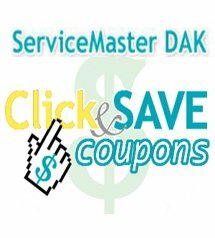 ServiceMaster DAK has Great News! Northbrook IL, March 2013 — ServiceMaster Clean announces a restoration effort of its own. ServiceMaster Restore will become the new face of a 60-year heritage of providing comprehensive disaster restoration services to residences and commercial businesses nationwide. As before, ServiceMaster DAK will continue to provide two great services to consumers: ServiceMaster Restore, for disaster restoration services, and ServiceMaster Clean, for residential and commercial cleaning services. As ServiceMaster Restore is introduced to our customers in North and Northwest Suburban Cook and Lake County the quality services that customers have relied on for 39 years will remain the same. The ServiceMaster DAK team is equipped to restore a home or business after any disaster, helping to get life “back to normal” while instilling peace of mind during a difficult time. Having the highest net provider score compared to all other ServiceMaster franchises in our Great Lakes region based on customer satisfaction surveys for all Residential Cleaning Services. Having one of the highest net provider scores compared to all other ServiceMaster franchises based on customer satisfaction surveys for Disaster Restoration Services in the Great Lakes region. Was #1 compared to all other ServiceMaster franchises in the Great Lakes region for insurance company cycle times. This is based on how quickly we contacted the customer, how quickly we arrived on site to provide service, how quickly we provided the insurance carriers with complete claim information and billing.